RIA DE GUZMAN, creative director of BBR, has always been a story-teller. Starting out her professional career as a broadcast editor for commercials and film, she learned how to cut videos and movies in a way to compose the most emotional and powerful story the script can deliver. Nearing a decade in this field, her works garnered a Best Editor nomination under Regal films, Gawad Urian and Star Awards. From that career came her fascination in helping create the most beautiful story in any bride’s life--- providing that perfect look to achieve that perfect day in the couples’ life. 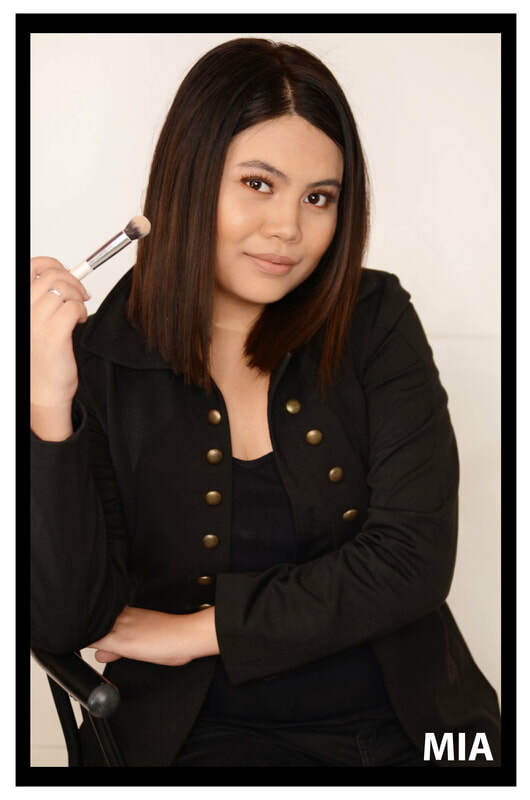 She pursued this newfound career by learning conventional make-up artistry at HD (High-Definition) Make-up Studio & Academy . Taking Airbrush Make-up at Kryolan Professional Make-up Philippines and training for hairstyling at Wella Professional. As a make-up and hairstylist, her first projects close to a decade ago, naturally involved blockbuster and indiefilms that gave her the chance to work oncelebrities such as Sam Milby, Jodie Sta. Maria-Lacson, Lauren Young, Diana Zubiri, Barbie Almalbis, Karen Davila (just to name a few). Her recent projects include several independent films under Cinema One, Sineng Pambansa and Cinemalaya. She’s also done hair and make-up for some corporate account projects fromNestle Philippines, UNILEVER, GLOBE Telecommunications, Philippine Airlines, COCA-COLA, HONDA, AboitizPower, LBC and DHL. Today, Ria is one of the most sought-afterwedding make-up artists featured in WEDDINGS TV hosted by Ms. Heart Evangelista and in GMA NEWS TV as one of the most popular hair and make-up Artists in the wedding industry and TOP BOOKER for the HAIR and MAKE-UP CATEGORY. Whether it’s a Wedding, Pre-nup, Debut, Event, Film, Photoshoot, private or corporate, with Ria, a beautiful story on how you looked that special day will surely unfold. Love for the arts and a fascination with beauty truly runs in the family. Taking after her older sister, Mia de Guzman is a definitive representative of a new breed of make-up artist. Starting very young by watching make-up workshops on-line, Mia was taken under the wing of BBR and has assisted Ria in various areas from make-up, hair, even administrative management of BBR. Today, she is her own artist. With more than 20 brides made-up under her belt, Mia has her own style in how to create that perfect look for brides or her entourage alike. Determined, disciplined and truly passionate, Mia proudly represents the new breed of creative artisans in the BBR fold.